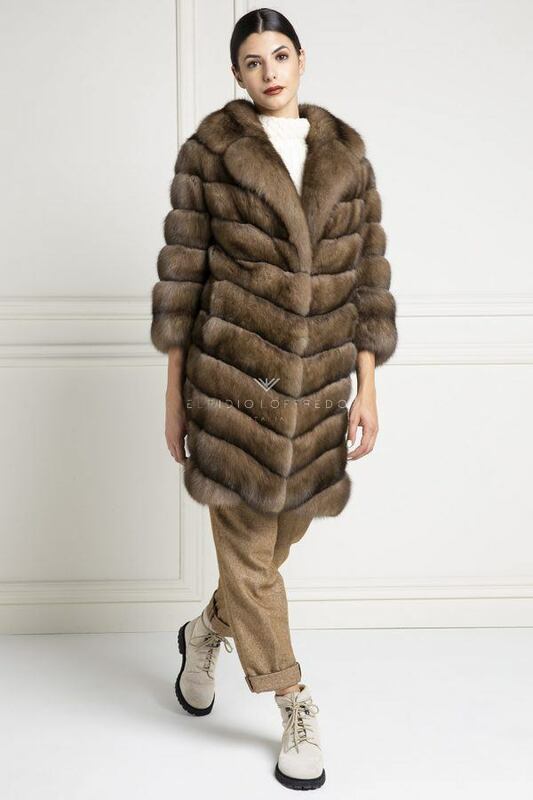 The Chinchilla fur is one of the most valuable ever. The hair is very soft, rich in shades that start from white to the black. The purchase of chinchillas leathers is a key point in the production phase, as you can buy different qualities of leather even in the breeding, and without the controls of the auction houses. All this, of course, cuts down production costs, but it will certainly affect the quality of the chinchilla furs. 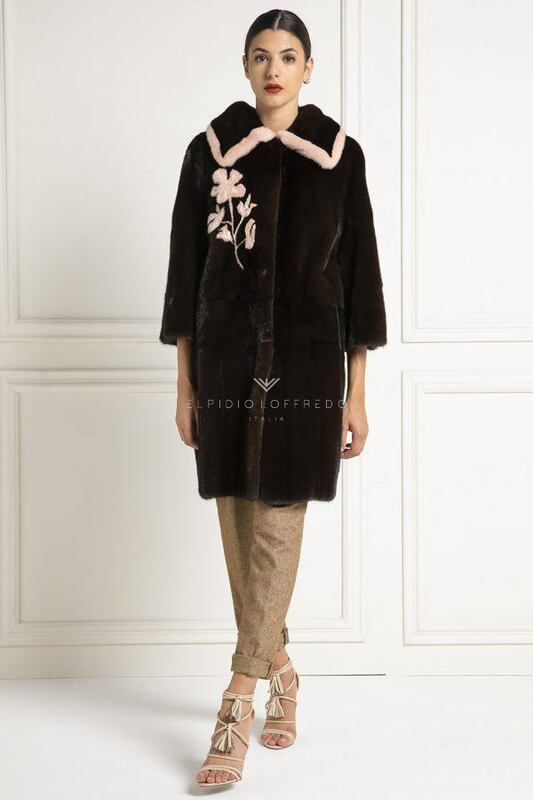 The Chinchilla Fur Elpidio Loffredo is produced using exclusively Danish Chinchilla skins coming from Kopenhagen Fur Auction House. Danish leather is much more durable than Hungarian or South American leather. Another very important factor for the chinchilla fur is the natural color of the leather. Obviously even here, the Danish chinchilla skins are the best in absolute, as they offer a clean white color with shiny gray shades and black and not brown color as we often find on the internet. Many producers use Hungarian or South American leather to have a chinchilla jacket or a chinchilla coat at low prices. This type of leather has a color tending to brown-yellow and a very fragile leather. 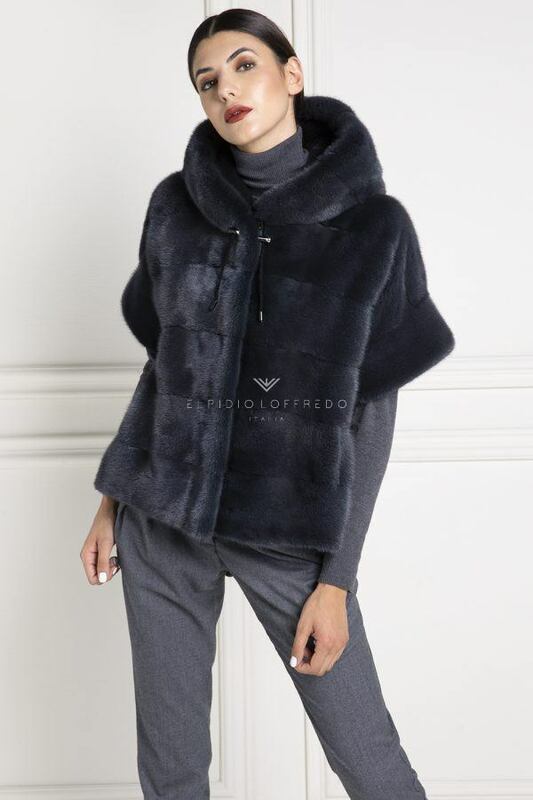 The chinchilla fur Elpidio Loffredo is produced according to precise production criteria, and not minding to the costs and the number of leathers. Some producers prefer to buy larger skins to use less. Obviously this is not a great job as we will have a hard chinchilla fur and with clean lines. 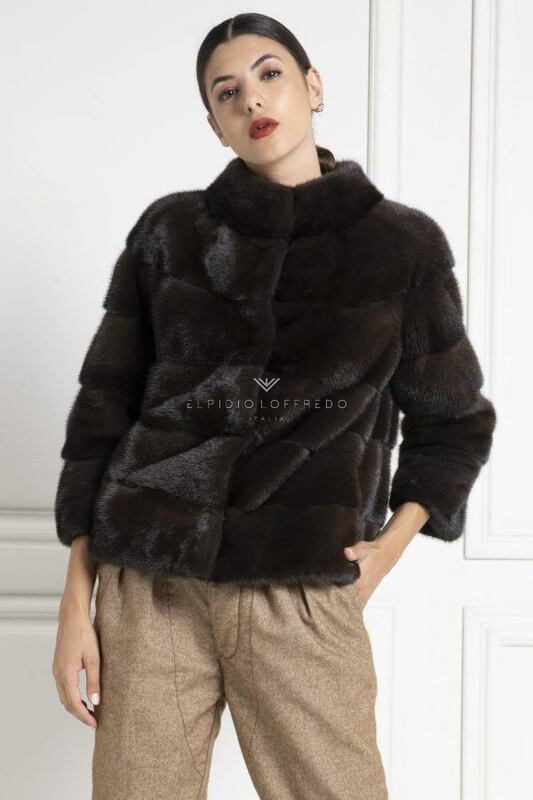 Elpidio Loffredo produces its chinchilla furs using smaller leathers in order to create a chinchilla jacket or a chinchilla coat that is very soft and rich, and with regular color nuances. Chinchilla color indicates the quality? The color of the chinchilla fur often also indicates the quality of the leather. Usually all the chinchilla furs for sale at a relatively low price do not have a well defined white color, they are often gray and also have brown and yellow shades. These skins are purchased directly in the breeding, or are leathers coming from South America or Hungary. The main difference between these skins is that the South American skin has a little thick hair coat and a leather practically like wet paper, impossible to work with. On the other hand, Hungarian leathers are very resistant with a very elastic leather but a gray color that is not very defined. The Danish skins used by Elpidio Loffredo are the best ever. Well-defined colors, very thick fur, resistant and elastic leather, optimal for processing. The quality of the chinchilla leather is the basis for the creation of chinchilla jackets and chinchilla coats. Another very important factor is the type of processing. Every year the Elpidio Loffredo artisans create new processing techniques to achieve perfect results. ElpidioLoffredo chinchilla furs are Made in Italy. All Elfidio Loffredo furs are made in Italian laboratories.